LOVE our hood vent! We ordered it for our new build. We worked with Adam and he was extremely helpful and very responsive. We were able to customize the hood exactly how we wanted it. It arrived within the estimated time frame given and was packaged extremely well. 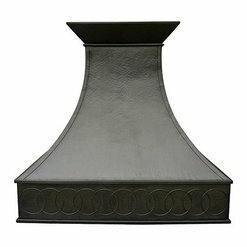 Ordered our copper hood for our new construction house and couldn't be happier. Adam was amazingly helpful, great communication, answered all our questions to make sure we ordered exactly what we needed for our space. The hood is maybe one of the most beautiful things I've ever seen, and at a fraction of the cost of what our neighbor down the street paid! 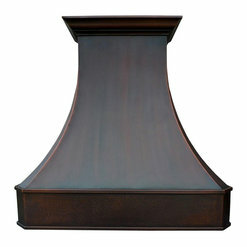 When we built our new house, I knew I wanted a copper range hood. 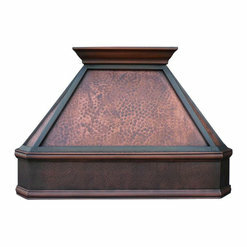 Copper Kitchen Specialist designed a hood exactly like I wanted for a price that was unbeatable! My customized hood arrived on time and in perfect condition. This was a great company to work with from start to finish! 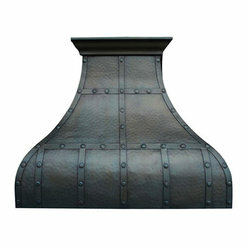 I purchased the "Bella" copper hood for my new custom home. Adam and his team are very professional. This is such an incredible quality hood, I absolutely love it. 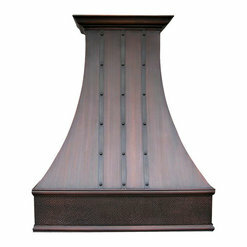 The fan and light system are top notch and the hood is just beautiful. I ordered a range hood and a matching kitchen sink from this company. 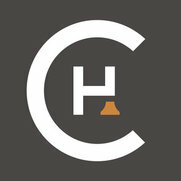 The quality is excellent and I would highly recommend their products. The customer service was impeccable. Questions that I emailed to the company were answered almost immediately. Adam was extremely patient and helpful while I made up my mind about exactly which of these beautiful master pieces I wanted for my kitchen. He also gave me excellent advice about finish and texture. Both items arrived within the time frame that I was quoted and were very well packed. Overall I was extremely impressed with my purchase and the experience. Adam was very professional and helpful in deciding on the design for our kitchen. He always reponded to questions in a timely manner. 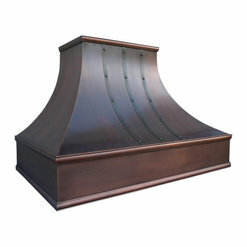 The vent hood was shipped and delivered as promised. 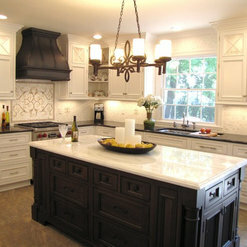 Our kitchen looks amazing with our vent hood as a major focal point in our beautiful kitchen! 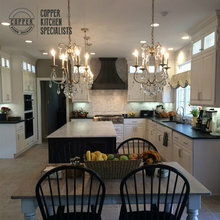 I would highly recommend Copper Kitchen Specialists. I talked to Adam and he made sure he understood exactly what I wanted for my kitchen hood. I actually ordered the incorrect size hood vent and he took care of it that day. A new one was sent me and Adam had the incorrect item that I ordered picked up from my house. The hood is beautiful, a piece of art really. Thank you so much Adam and everyone at Copper Kitchen Specialists! 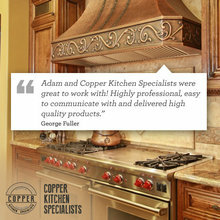 I am so happy that I found Adam and Copper Kitchen Specialists! 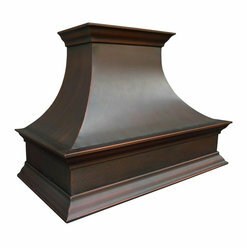 I could not be more satisfied with my beautiful range hood and the service that I received. Amazing quality, amazing service and one of the best contractor experiences I have had with my entire new build project! 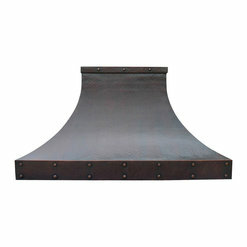 My friends and family are in awe of the range hood and it is one of the highlights of my kitchen. You won't be disappointed! I researched many options and this is the best decision I made! Thank you Adam! A copper hood for our cooktop was the big splurge in our new kitchen. 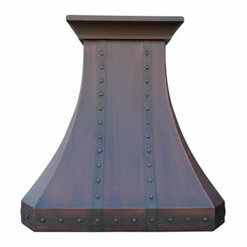 I did a lot of research and found Copper Kitchen Specialists online. I used the online estimator to determine the approximate price, but I had some questions and called them. 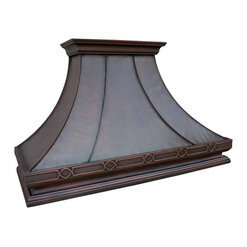 They were prompt and helpful in answering all my questions, and in a few weeks we received a beautiful copper hood. It arrived well-packed. Can't wait to install it (and I'll add pictures then). Adam was nothing but responsive and really nice to work with. The final product is beautiful and completes the feel of our kitchen. Thank you for a great product and great service! My only minor complaint is that the hood fan is pretty loud even on the lowest setting. Similar to my old Viking hood but was hoping for something quieter this time around. I love it though and wouldn't trade the hood for anything else! 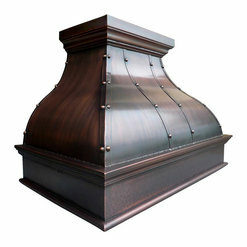 I looked at several options for purchasing a copper hood, but I was most impressed with Copper Kitchen Specialists because of their incredible selection, wide range of finish options, and easy ordering process. If you know what you want, the entire thing can be done online. But Adam was also very helpful in nailing down the final details. My hood arrived and the construction dudes all commented how well made and sturdy it is.